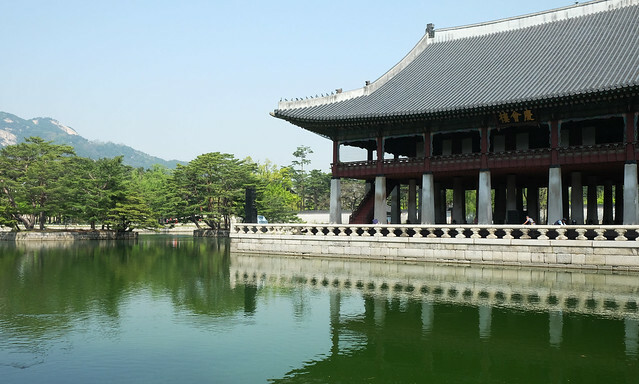 Traveling to South Korea has been a huge surprise for me because (1) it wasn't on my list of countries to visit and (2) I really want to see Japan before anything else. 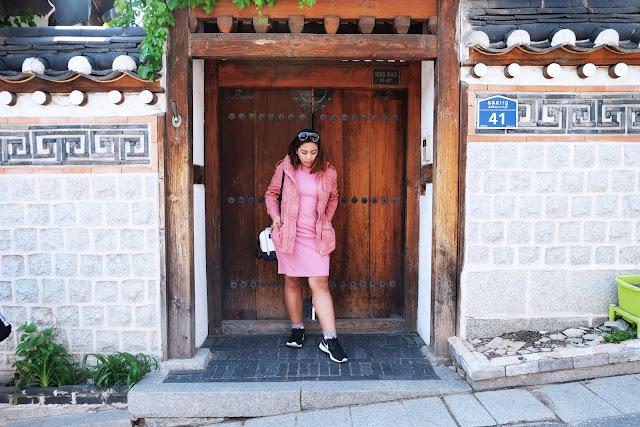 While I prayed to God to give me the best first-time experience abroad, I didn't expect He'd unearth so many great things to experience right before me in Seoul. Just to give you a hint of how my trip to Korea went, it was all touristy and gastronomic! I've never gone back to the hotel feeling "bitin" because every minute spent on the streets of Seoul was hella worth it. 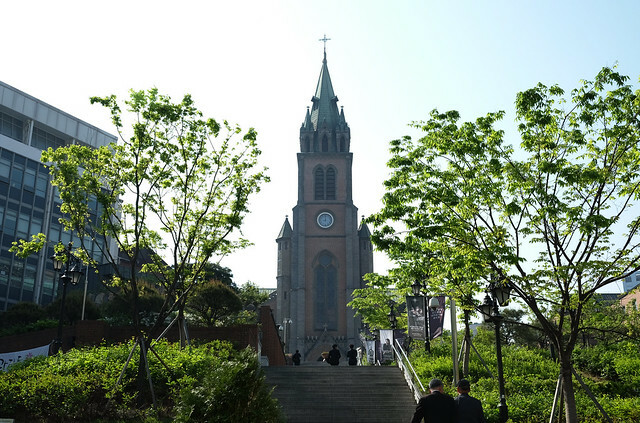 What is Seoul without visiting the famous streets of Myeong-dong! 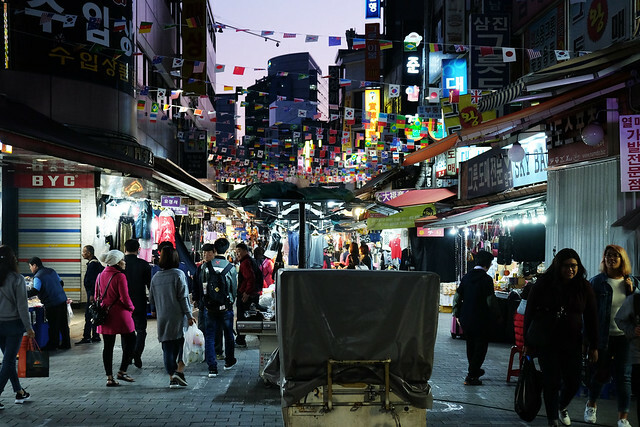 It is one of the primary shopping districts in Seoul where you anyone can score GREAT deals on skin care, k-pop merchandise, and apparels. 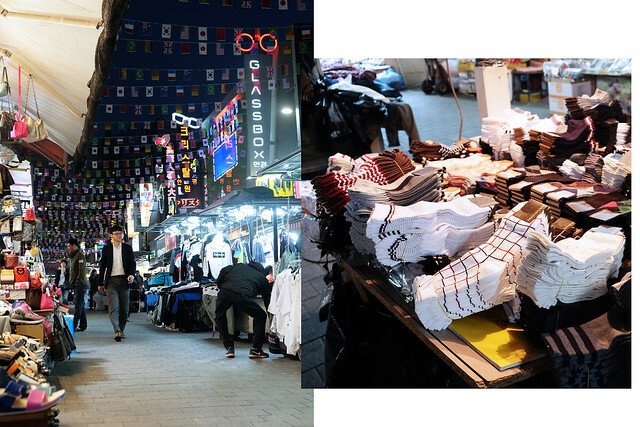 I felt so lucky to have stayed a few blocks away from Myeong-dong because it's like a gateway to every Korean item that you can purchase during your visit. I actually bought white Tretorn sneakers for 50% off at Folder. (Php 1,900) Cheap thrills for the win! When the day breaks, different street food carts start to flock in the downtown streets of this famed shopping district. There are a variety of on-the-go options like pork skewers, fish cakes, tornado potato, dumplings, and etc. 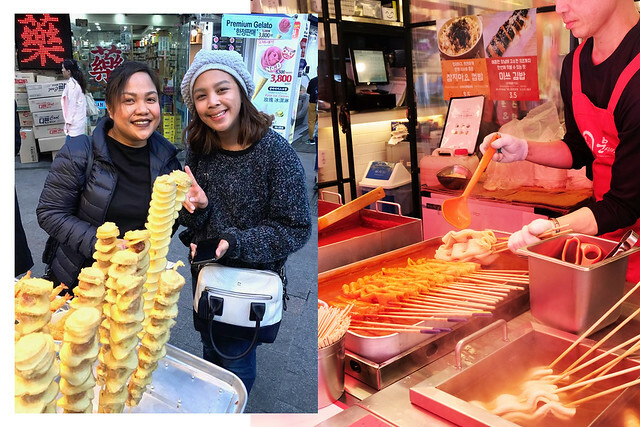 If you're traveling on a budget, Namdaemun Market is your bestie when it comes to best dibs from kitchen wares, clothes, Korean snacks, flowers, footwear, skincare, and etc. I remember scoring 60 pieces of masks at the Nature Republic here in Namdaemun market for around P40 each. My goodness! As I stroll the pathways of Namdaemun market, I somehow find it as the organized Korean counterpart of Divisoria. It was my first time to see different kinds of socks sold in the sidewalk of Seoul. I actually didn't realize that it was a necessity up until I felt the cold breeze myself when the night time officially struck in. 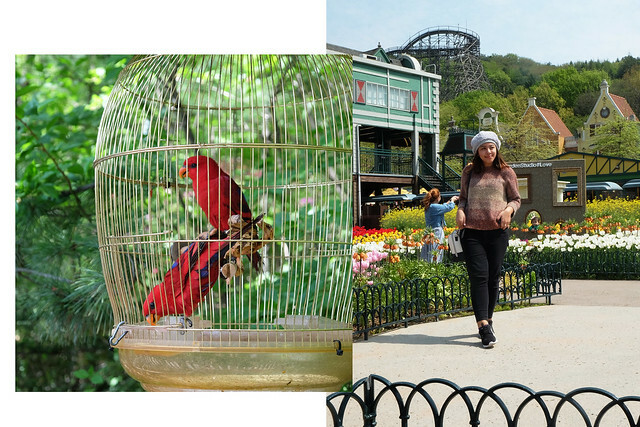 My expectation of Everland is like Enchanted Kingdom where I can have a magical moment with the rides and interact with the animals. 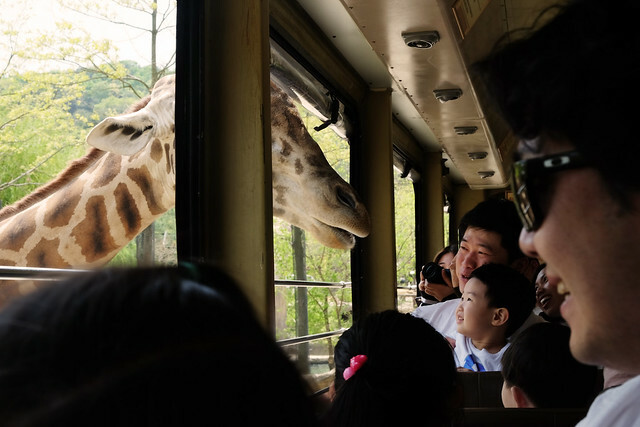 Choosing Everland over Lotte World is a no-brainer for me because prior to leaving for Korea, I was already looking forward to snapping the giraffes, pandas, and other animals inhabited in this amusement park. 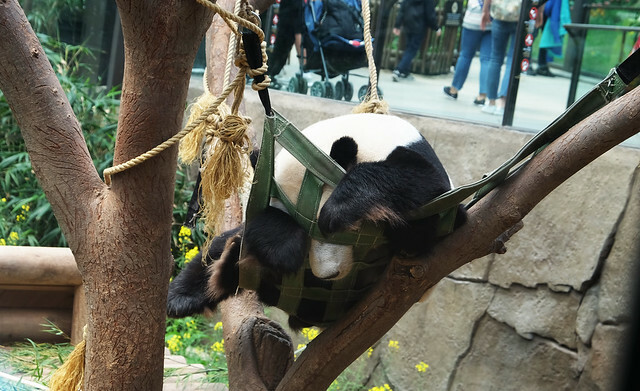 My trip to Everland was more of getting a chance to see the animals than trying the ride attractions because some of the ride's operations were halted due to windy weather. I was really hopeful to try the T-Express ride but, the breeze didn't oblige us that specific day. 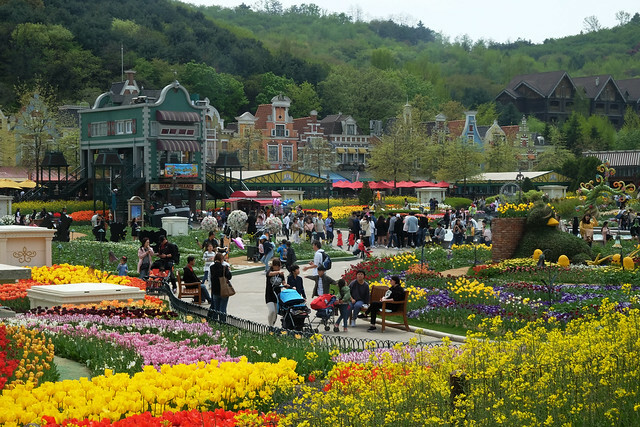 The Tulips Garden uplifted my mood when I didn't get to try the different ride attractions inside. We arrived in SoKor a week after the Tulips festival that's why the tulips were beyond full bloom already when we came. 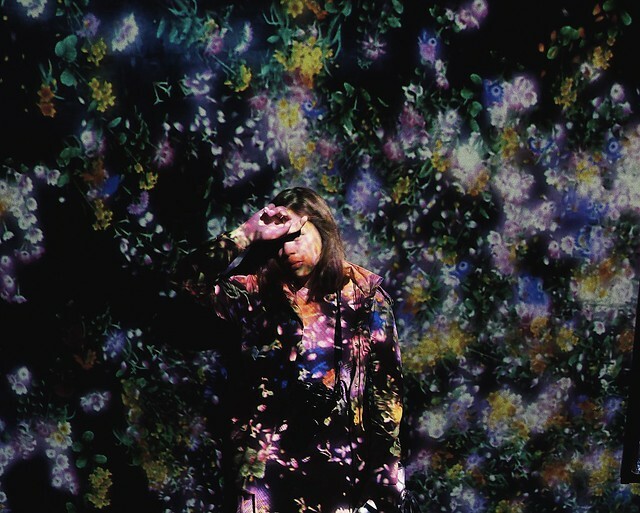 Nonetheless, the garden was breathtaking that it actually looks like a garden from a fairytale book that came to life. 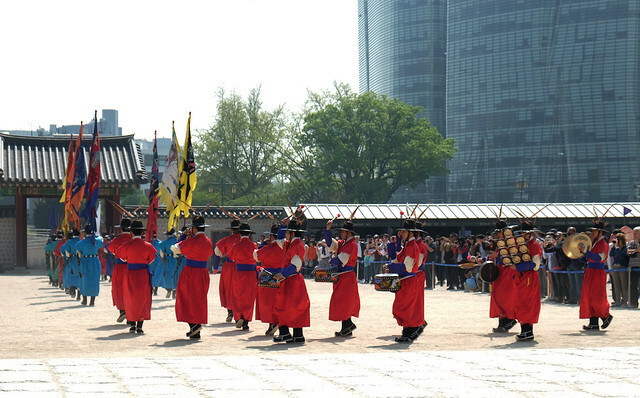 We arrived at Gyeongbokgung Palace few minutes before the changing of guards ended. Even if we didn't see the complete ceremony, watching these guards (in their traditional costumes) doing formations is a new sight to see. This is the two-floor banquet hall where the palace used to hold parties and gatherings for special occasions. Too bad tourists were not allowed to go and explore this side. Before going to the palace, I highly suggest spectators visit the National Palace Museum of Korea for some stored knowledge first. 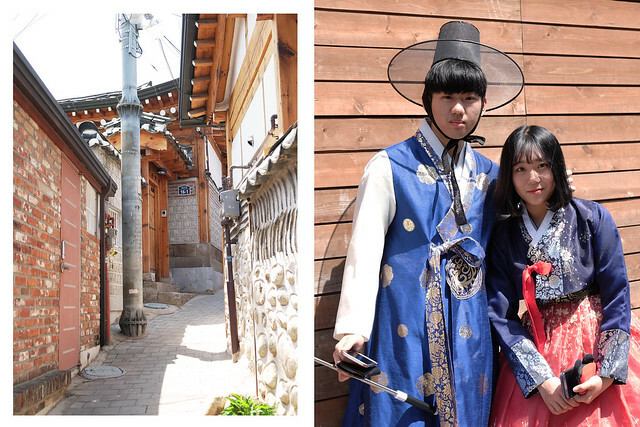 In this village, tourists can immerse themselves in the traditional Korean culture. 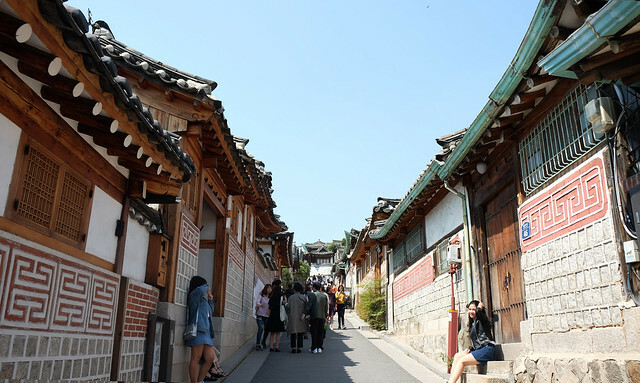 They can spend an afternoon in the guest houses, tea places or restaurants that's reminiscent of the old village way of living. Take note that there are people currently living in the neighborhood that's why passersby have to remain silent as they walk around the village. My insta-addict friends will fall in love with this place! 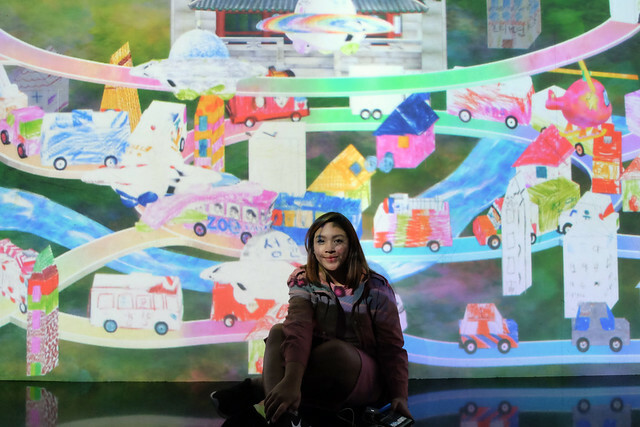 Located in Lotte World Adventure, this art museum and futuristic park present endless possibility of exploring and learning art in the form of light and motion. 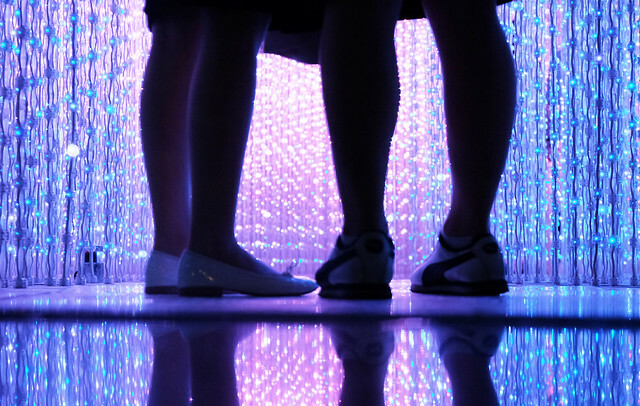 There are different attractions in Team Lab that you can choose from. You can draw animals or vehicles and scan them so they can transform into 3D forms. 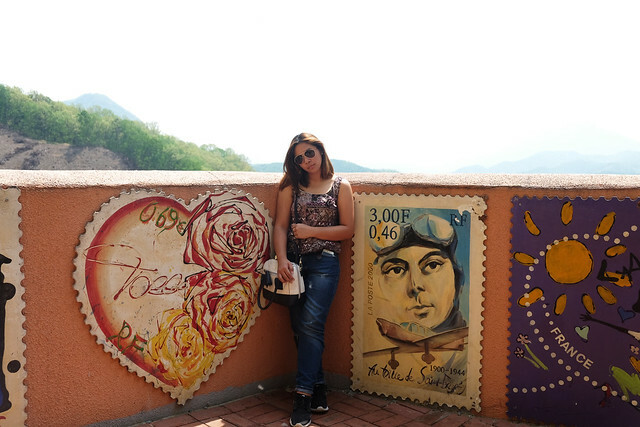 Endless Love: Winter Sonata. Does it ring a bell? 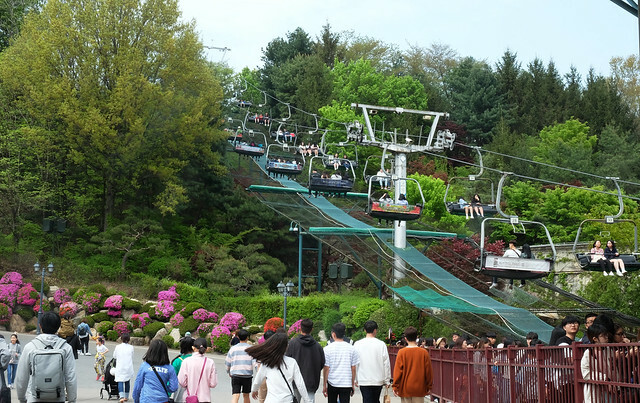 Stepping in Nami Island was like being transported back in the 2000s were I witnessed Kang Joon Sang and Jeong Yoo Jin's passionate love for each other regardless of the tragic happenings that transpired in their lives. Nami Island's beauty left me speechless no matter where I look. The beautiful trees lined in the roads are just one of the things to look forward in this half-moon shaped island. 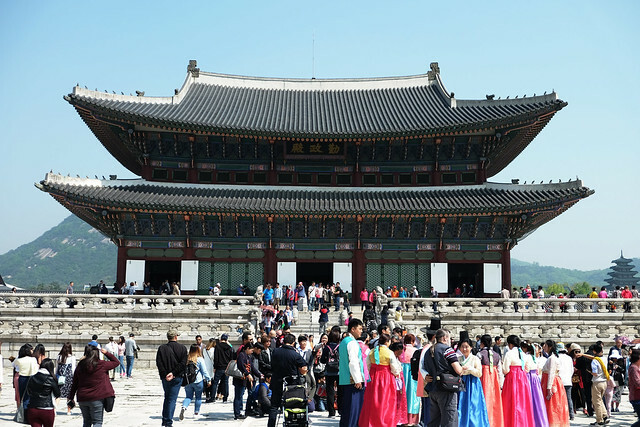 There are also cultural shows and artsy galleries that can be visited by the tourists. PS. Because Naminara was hailed as a republic, they have their own currency on the island! PPS. 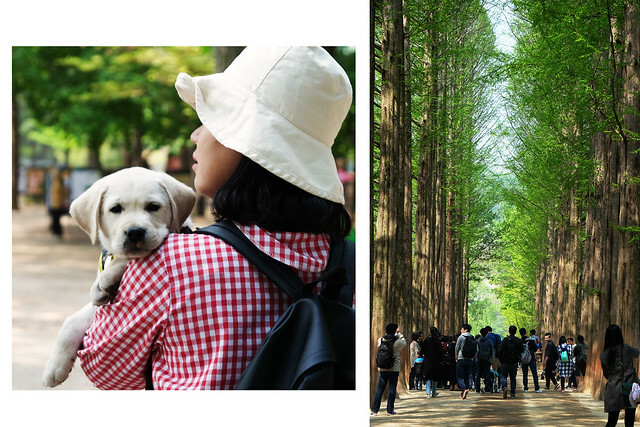 Send a postcard to your home when you visit Nami Island. All you have to do is buy a postcard and two post stamps. Sounds cool for a memorabilia, right? 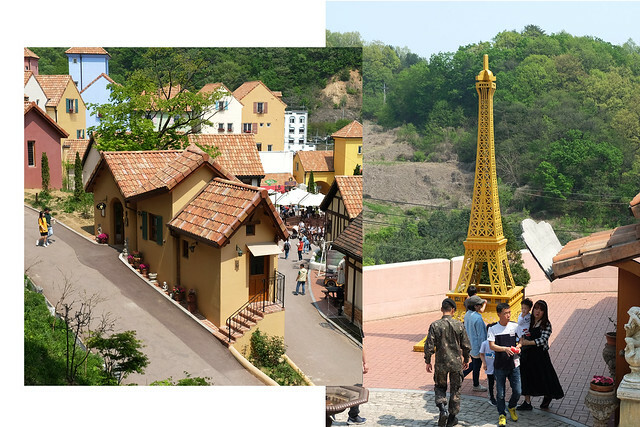 French Culture Immersion in Korea? Petite France has it! 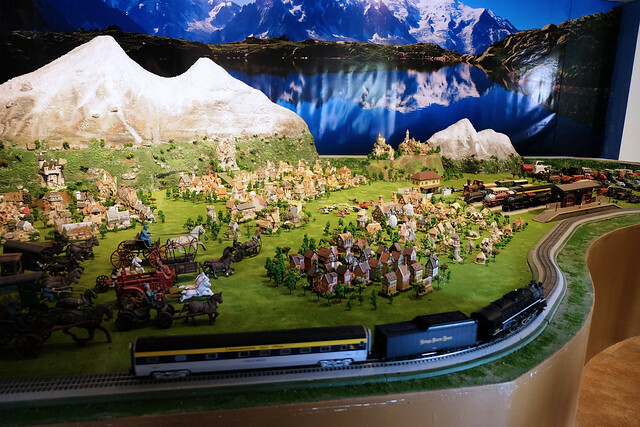 This French Cultural Village pays tribute to the author of Le Petit Prince, Saint-Exupery. Aside from the memorial hall on his name, this village also offers board and lodging to tourists, the legit French way. The best thing about Korean food is that not everything's spicy, far from what I expected at first. From savory to dessert choices, they have it in store! Given that, here's a montage of what I ate in Korea for 5 days just because words don't give justice to my food trip in Korea. 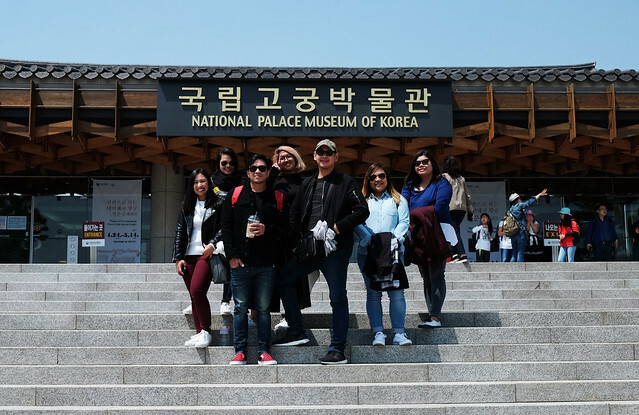 Wendy's Philippines just launched their trip of the palate to Korea food selections! Introducing the Kimchi Chicken Fillet & Kimchi Loaded Fries, this successful global fast food chain has come up with an exciting array of offerings, inspired by the world's most celebrated flavors. I'm super excited to be full from this delicious Korean concoction. They ultimately brings a delicious spin to the people's favorite Korean flavor, guys! 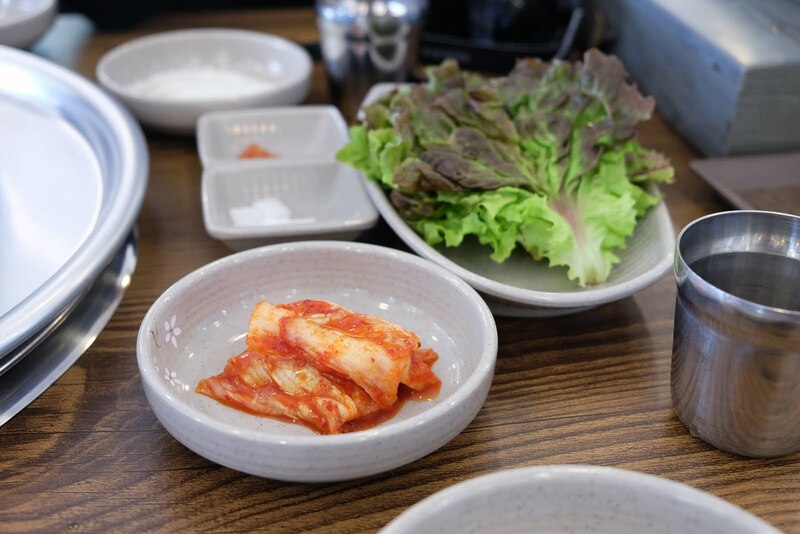 The choice side dish and ingredient of most Korean cuisine, the kimchi, is also the flavor muse of the new Wendy's Kimchi products. 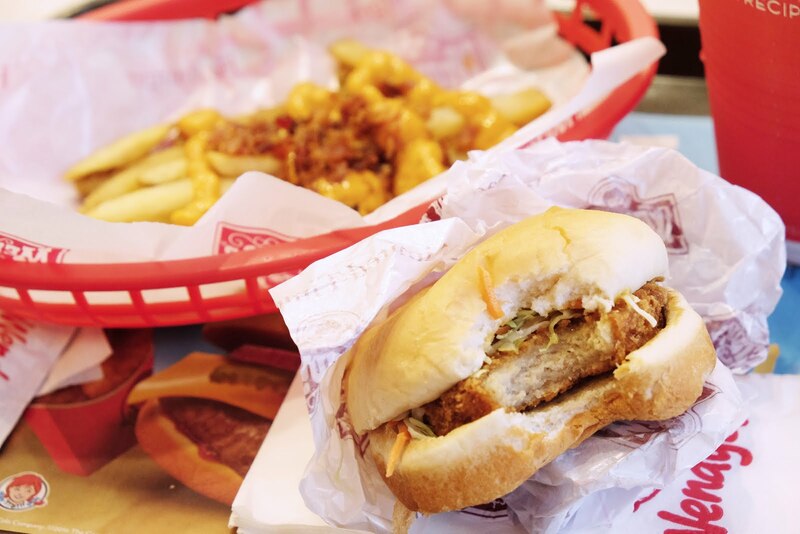 Bite into meaty chicken fillet mixed with fresh slaw and rich and savory kimchi sauce with the Wendy's Kimchi Chicken Fillet. 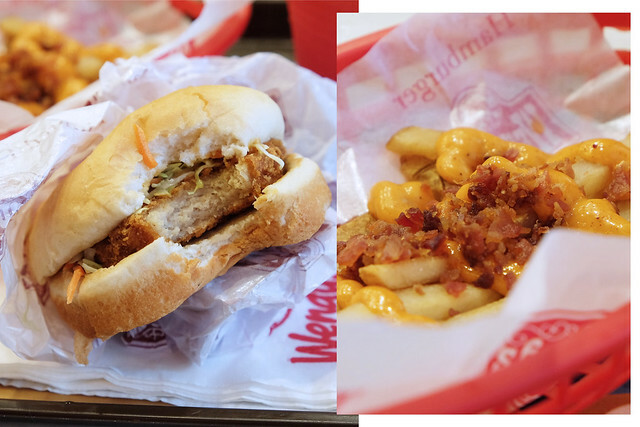 Combined, the Wendy's Kimchi Chicken Fillet and Kimchi Loaded Fries came right in time! Just when I was trying to reminisce my past Korean experience, these new Korean-inspired food items from Wendy's are born to help me rekindle great memories from Seoul.